Greg DeVillers was a top biotech executive, and Kristen Rossum was embarking on a career in toxicology at the San Diego Medical Examiner's office. They seemed to be happily married, living the American dream. But only months shy of their second anniversary, Kristen found her handsome husband dead from a drug overdose,his corpse sprinkled with rose petals. By his side was their wedding photo. The scene was reminiscent of American Beauty, one of Kristen's favorite movies. Authorities deemed it a suicide. Until they discovered that the rare poison found in Greg's body was the same poison missing from Kristen's office. Until they discovered the truth about Kristen's lurid affair, about her own long-time drug addiction, and about the personal and professional secrets she would kill to keep hidden-secrets that would ultimately expose the beautiful blonde as the deadly beauty she really was. Once more John Glatt tells this story in the same easy writing I have grown to expect from him.If you have read one of John Glatt's book and you find that you enjoyed it then I can tell you that you will enjoy any John Glatt story.The same true crime story can sometimes be written by a few true crime writers.I have reached the stage where I will only buy the John Glatt version of a certain crime story.I know that I will not be disappointed. This book Deadly American Beauty was,if I remember correctly, the first book I read by John Glatt.I have also since then watched a program on this story on the Crime & Investigation network and I would still advise on buying the book as it contains really interesting information that is not covered by the TV program.This is especially true of the background and childhood details of the main characters,Kristin Rossum and Greg de Villers. 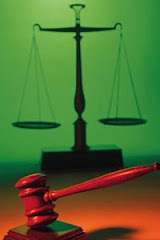 This book covers background and childhood details including the way the couple met and some of their married life up to the day of the crime,the investigation and the court case.There is no graphic details of the crime.It is a book I would recommend to any of my readers. 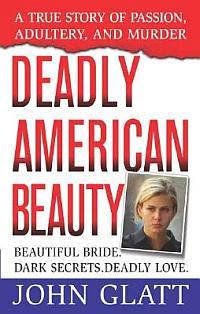 I read this book in October 2007 and it also has 8 pages of photographs relevant to this true crime story.The title "Deadly American Beauty" is so very appropriate as she was indeed a great beauty.I was a bit diapppointed in the fact that there wasn't more information on trying to avoid the same trap Kristin Rossum fell in when she became addicted to drugs but the story is still extremely insightful and I was able to come to a few conclusions of my own,regardless. Hi Yvette! I got my Kindle on the 26th and have read a book on it already. It was A Breed Apart (medical thriller.) I didn't have any trouble like you did in the begining so everything went smoothly when I got it. I downloaed some free books, mostly classics, bought a couple and charged it up. The charge lasted for 6 days, which I thought was pretty good since I played with it a lot and read a lot. I liked the feel of it while reading. It was easy to use. How are you liking yours? Hope it is working out for you! Let me know. I am loving mine.It took so long to get here that I ordered "real" books in the meantime so I have to read those first.I have already bought 5 books on Kindle which I have read.Wonderful best thing since sliced bread!! You're ahead of me in the reading on the Kindle department. I have so many books on my TBR pile plus the ones I'm still checking out from the library. I'm glad you're liking yours!